When one thinks about all of the amazing things that Pittsburgh has to offer, high-quality Japanese cuisine doesn’t typically come to mind. 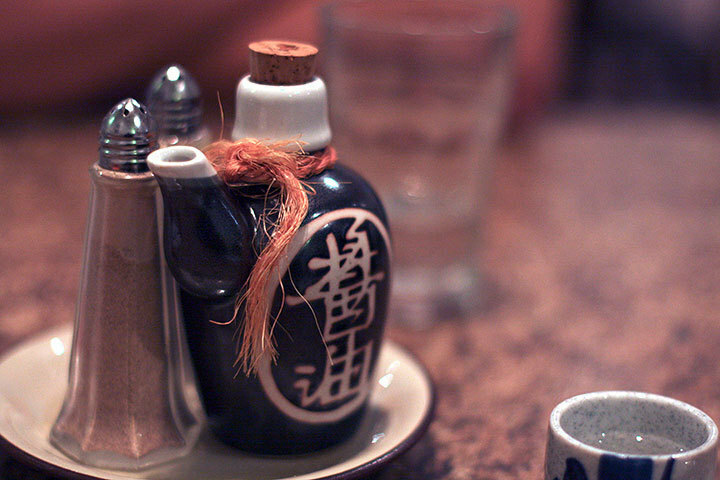 However, here in the area around Carnegie Mellon, we have a wide selection of Japanese restaurants at students’ disposal. 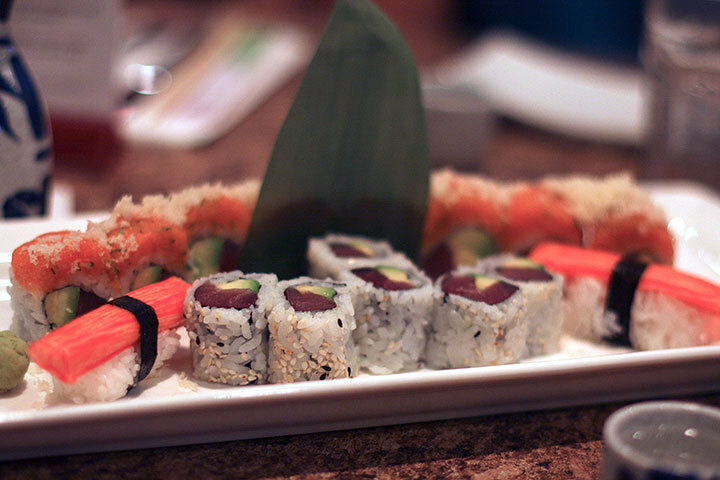 Carnegie Mellon students have always had fantastic, tasty, and affordable sushi available just a short walk away. Sushi is high in protein, low in fat, and contains omega-3 fatty acids that help prevent diabetes and blood clots. While one should always be aware of the origin of the fish and seafood to limit parasitic risk, overall, sushi is a low-risk, healthy meal option. When looking for an exciting new restaurant or just a place to grab some lunch, consider these sushi venues, all within walking distance of campus. Chances are you’ve seen their sushi boxes around campus, but have you ever tried Sushi Too fresh at Resnik Café? The pre-boxed sushi makes for a nice meal whether studying late at the library or catching a quick lunch at the UC, but venture over to Resnik House for fresh, personalized rolls made right in front of you. Not feeling like fish? The chefs at Sushi Too will gladly whip you up a medley of vegetable rolls. Cucumber, asparagus, and fresh avocado rolls, served with a hint of ginger and wasabi, make for a healthy and tasty lunch alternative. The best thing about Sushi Too: the convenience. Not having to leave campus for your appetizing sushi snack is always a positive. 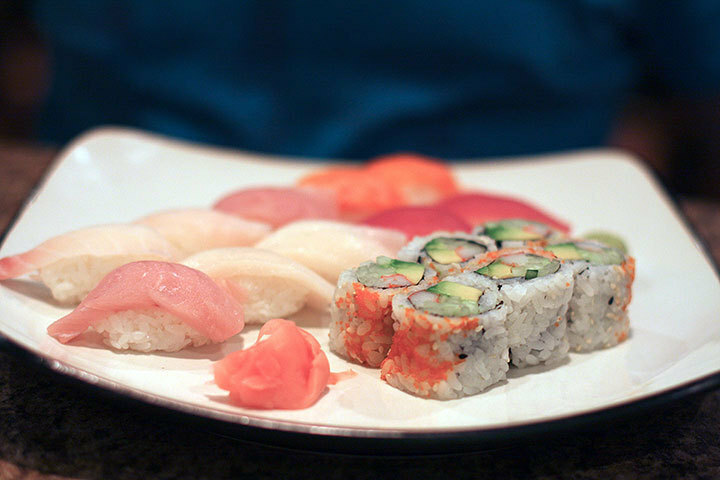 Sakura Teppanyaki & Sushi is perfect for an elegant meal. Situated right off Forbes in Squirrel Hill, Sakura is a short walk for Carnegie Mellon students and is well worth the trip. Whether you’re entertaining parents for a weekend or treating your significant other to a classy dinner, Sakura has the perfect atmosphere. 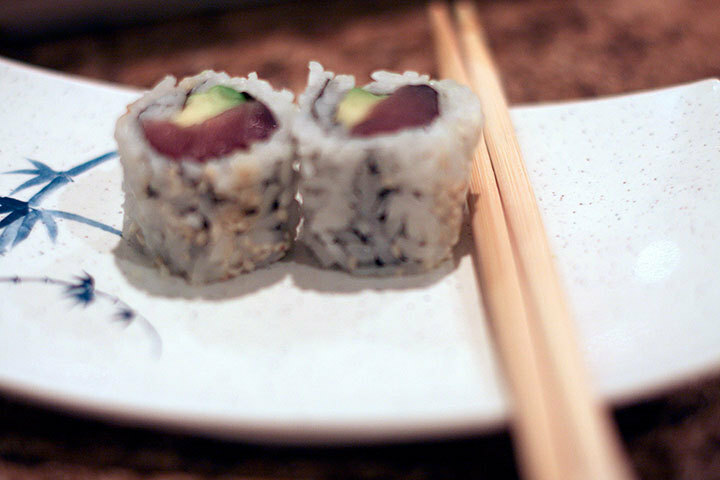 While the prices aren’t significantly low, the sushi is fresh and incredibly well-prepared. “I especially like the specialty rolls,” said Collin Burger, a first-year in CIT. “Every time I go, there is something different on the menu. They like being super creative with their specials. Just last week they had this deep fried roll called the Green Fuji Roll. Fried sushi was a first for me; that was interesting.” Creativity has definitely become a facet of the Sakura chefs. The owners, Fengping Geng and Feng Gao, love to inspire diversity with their weekly menu changes. Located in a small nook right near the University of Pittsburgh on Oakland Avenue, this restaurant offers its customers fast, cheap, and delicious Korean and Japanese cuisine. The upside: You can get more than enough food for under five dollars. With teriyaki bento boxes, rolls of sushi, and soups galore, Oishi is well-priced and speedy with its delivery. The downside: Getting a table can be nearly impossible. Oishi customers follow a specific procedure — you order your food at the register and then claim property on one of the two floors of seating. The only problem is that since Oishi is a pretty popular place, it can be difficult to find a table.